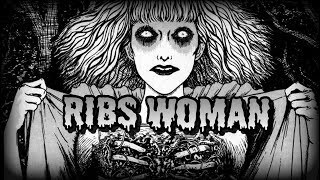 This is legit one of my favorite videos I have ever produced. Reaction videos are okay with me - even encouraged - so long as you link back to the original video and send me the link for my playlist. 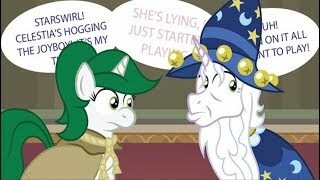 Summary: Celestia pays a social call. Summary: H.P. 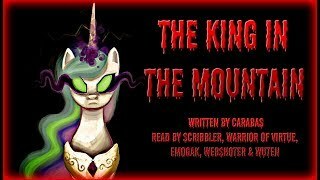 Hoofcraft retells his famous gothic story - with ponies! 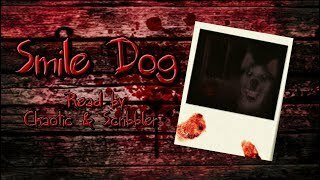 Summary: One of the first creepypasta chain letters to start in the 1990s, quite possibly on USENET. Summary: An alternate ending to Gauntlet of Fire. Props if anyone can identify the Moulin Rouge reference. 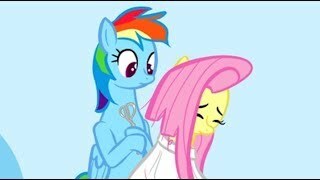 Summary: Fluttershy trusts Rainbow Dash to cut her mane. 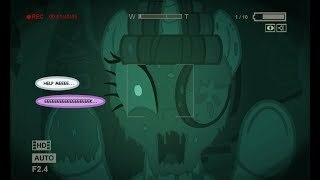 Silly Fluttershy. Summary: Appleloosa brews the best cider this side of anywhere! 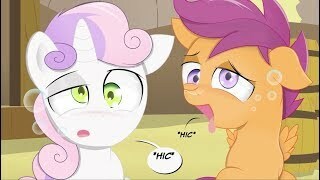 Just ask the CMC! 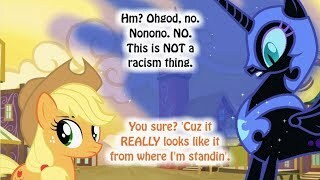 Summary: During Discord's reign of terror, he stops by to torment a certain unicorn DJ. 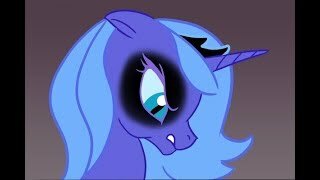 Summary: Nightmare Moon is back and this time her target is Appleloosa! Summary: When a strange knock sounds at the door at 3am ... don't answer it. Whatever you do, do not answer the door. 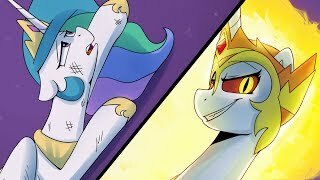 Summary: Celestia confronts Daybreaker in Starlight's dreams. It ... does not go how she expects. 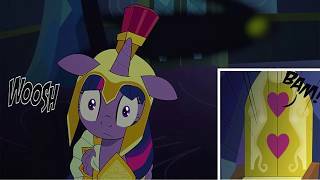 Summary: The true and real origin for why Starswirl the Bearded wears bells on his hat. 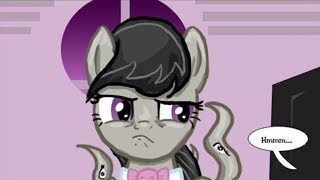 Summary: Twilight has a theory about pegasus procreation. Summary: Apple Bloom is amazed to find her future self waiting for her in the barn one day. Too bad her future self didn't just drop in for a chat. 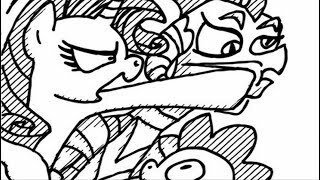 Summary: The real reason why Tempest Shadow became a villain. Be aware of sarcasm and multiple memes. 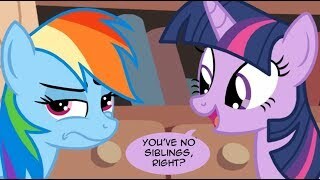 Summary: Twilight can't understand why Luna is so happy about her dear sister's passing. 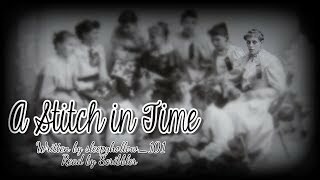 Summary: I've been getting into genealogy in recent years. It's really cool, reading about all the people who led up to... well, you. But sometimes you find out more than you want to know. Sometimes you dug up secrets that are better off left buried. 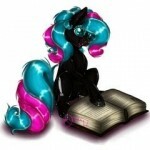 Summary: Luna chances upon her sister having a nightmare. It is not what she expects. Summary: Twelve year olds Katie and Jamie head off into the wilderness to search for a legendary lost town. They learn a bit too late that some things just shouldn’t be found. 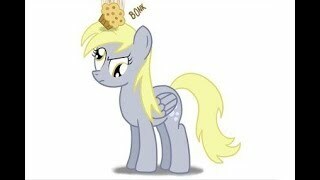 Summary: Diamond Tiara and Silver Spoon have a special hoofshake. 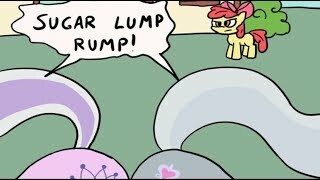 Apple Bloom hates it. 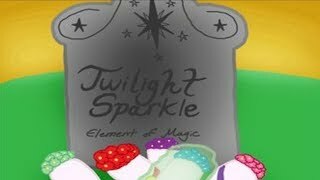 Summary: In another life, one where she did not become a princess granted with immortality, Twilight Sparkle reaches the end of her life and has one last friendship letter for her beloved teacher.